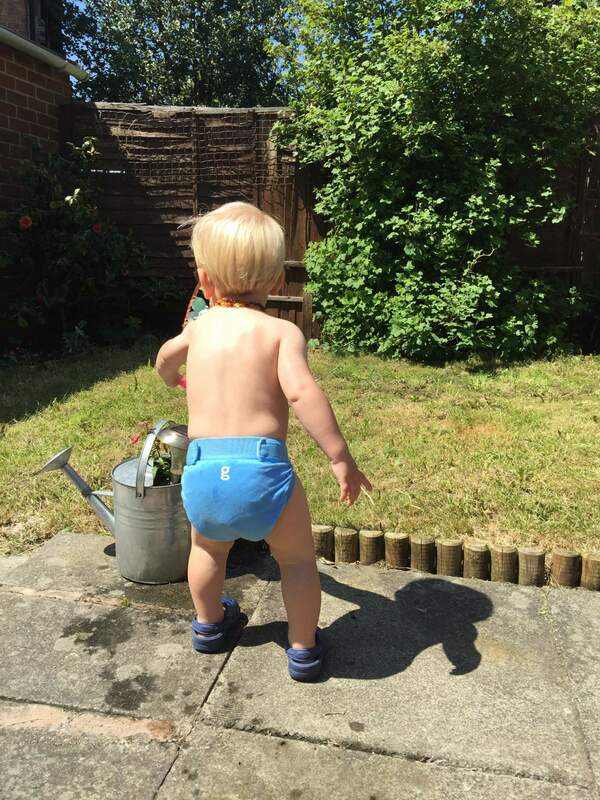 Why We Use Cloth Nappies and even the OH is converted! When Noah was born, we tried every type of disposable nappy we could find – supermarket-own brands, premium brands and the organic biodegradable brands. Every one of them leaked. My boy was not the shape or size for disposable nappies, and so I bought some reusable cloth nappies to try. Rob grumbled that I had wasted money, and that the cloth nappies would stink, but after just a few months of using the cloth, he agreed he’d been wrong and that in fact it’s the disposable nappies that smell the worst! I am also really pleased to be able to say that Noah rarely has nappy rash, as James regularly had a sore bum – poor thing. Apparently the most avid buyer of cloth nappies can spend up to £350 on a lifetime supply of nappies (because of course the cloth will do for the next child too…and the next after that…) whereas disposable nappies cost much more than that. If you spend about £30 a month on disposables, and you potty train at 3 years, you’ll have spent more than a thousand pounds on just the nappies. What do you have to show for all that money?! It makes me want to cry thinking about the cash we wasted with James! One of the best things about cloth nappies is that you can sell them on after you’ve finished, which will recoup some of that initial outlay. Another brilliant side effect of using cloth is that you won’t contribute to landfill. It’s really satisfying to wash the nappies instead of putting them in the bin – we recycle so much else from our house, why not nappies too? They’re also so cute! There are so many designs and colourful prints that look gorgeous on. The inside of the nappies are so fluffy and soft, it really feels much nicer to touch – I’m sure cloth nappies must feel nicer to wear than disposables. 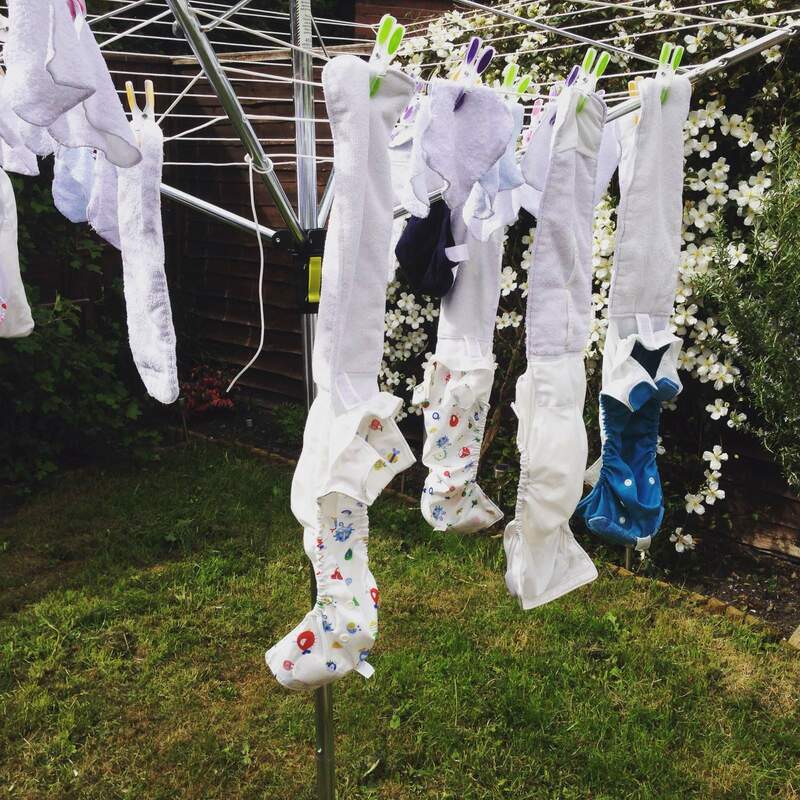 Do you use cloth nappies? Why? What would make you try them, if you don’t already? Win a family pass to The Digital Kids Show! We use disposables. I couldn’t convince Papa Ginge to do cloth. I do love reasons behind using them though and there are so many amazing designs. I hate the chemical exposure in disposables too! I decided that as I do the majority of the changes that we’d use whatever I wanted. Plus, we absolutely had to because nothing else worked! I do go home and find Noah in a Pampers occasionally because Rob hasn’t wanted to put a cloth nappy on. Humans are tricky creatures to convince sometimes – no one likes change! Overall less expensive than disposable nappies. We no longer use nappies (potty training all done and dusted!) but J wore cloth right throughout his nappy days, E seemed to react to cloth nappies weirdly and I was gutted when I sold all my tots bots! How very strange to have a reaction to cloth! Oh no! I’ll bet you were so sad. A disposable bum is not nearly as cute! I’d spent a fortune on pink lollipop bamboo two part nappies and adorable wraps, she just didn’t take well to them and ended up with a nappy rash despite being changed regularly . I’m still very new to cloth nappies as my little one is only 2 months old but my local nappy library has been a great source of info and advice. I’m still using disposables as we were bought loads by friends and family but fully intend to shift across to cloth in the next month or so. I live the idea of avoiding sending stuff to landfill, using less/no chemicals against my baby’s skin and of course saving money! I use them for environmental reasons – I am a strong believer in the mantra – reuse recycle reduce. I would love to try cloth nappies with my new bundle of joy so that he can feel nothing but comfort whilst having to use nappies. I’ve just started using them, I’ve only bought a couple and I’m just getting used to it! I love all the cute designs you can get and the less we can throw away the better! I haven’t, and never really wanted to, but my sister in law does! I use them for environmental reasons. We use cloth as a friend introduced us and they are much more reliable than disposable nappies, reduce landfill and are beautiful. My biggest regret is not using them on my first born.